Understanding what the Buddha said requires looking at your mind, your motives, feelings and behavior. Understanding the language the Buddha used (turns of phrase, similes, analogies, etc), the subjects he discussed and how he chose to approach them, requires knowing something about the world he lived in. Take the Vedas, the sacred scriptures of Brahminism. At least some knowledge of the Vedas makes more sense of how and why the Buddha presented some of his teachings the way he did. Vedic Brahmins used to keep three sacred fires burning and worship them. In reference to this the Buddha spoke of the need to extinguish the three fires (i.e. greed, hatred and delusion). A brahman was considered accomplished if he knew (i.e. was able to recite from memory and to explain) the three Vedas. For the Buddha, a person was spiritually accomplished if he has realized the Three Knowledges (tevijja); arising and passing away of beings according to their kama, and the knowledge of the destruction of the defilements (A.I,165). According to the Vedas, the brahmins were the apex of humanity because they were born of or created from Brahma’s mouth. 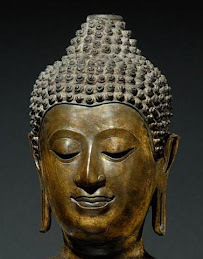 The Buddha said his enlightened disciples were the apex of humanity because they were ‘born’ of the Buddha’s mouth, ‘born of Dhamma, created by Dhamma’ (It.101). And of course the Vedas taught that one could only be a brahmin by being born of brahmin parents. For the Buddha, one became a brahmin by acting the way a brahmin was supposed to act (tam aham brumi brahmanam, Dhp.397-411). The brahmin sages spoke of the blissful, eternal Self (atman. In later Upanasadic thought sat, chit, ananda) while in contradistinction to this the Buddha a taught dukkha, anicca and anatta. These and dozens of other aspects of the Dhamma mirror in one way or another Vedic concepts, the Vedas being the basis of mainstream religious thought during the Buddha’s time. Another important aspect of the Vedas that influenced Buddhism was how they were preserved and passed on. 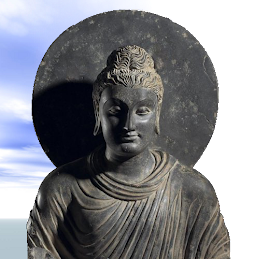 The old canard that critics of Buddhism always raise is that in being orally preserved for several centuries the records we have of the Buddha’s teachings must be very reliable, worthless even. In reality, long before Buddha, the brahmins had evolved ways of remembering and passing on the Vedic hymns with an extraordinary degree of accuracy. Many of the Buddha’s disciples were brahmins and they bought to their new faith the skills they had been schooled in as part of their education, and used them to preserve the Buddha’s words. There is an excellent article on Wikipedia called ‘Vedic Chant’ which explains how this was done. The article ‘Vedas’ is very informative too. Quite apart from all this, at least some familiarity with the Vedas is a good anyway. They are amongst the most beautiful religious literature ever written. If you want to do this I would recommend Wendy Doniger’s (she of the new Kama Sutra translation, and numerous other excellent works) The Rig Veda published in Penguin Classics and available in most bookshops. Doniger’s translations are readable, clear and not overloaded with notes. Her selection and arrangement (108 hymns altogether) also offers a good introduction to this wonderful literature. All the old favorites are here – The Hymn to the Water, the Gambler’s Lament, the Hymn to Creation (Nasadiya), In Praise of Generosity, and my favorite, The Croaking of the Frogs. Some of this must have been familiar to the Buddha and he must have sometimes heard the melodious and hypnotic sound of the Vedas being chanted. This second example is the real thing, done as it was done at the time of the Buddha. Brahmins can do this for hours at a stretch – with perfect intonation and without error. It seemed to be worth sharing. I have explained there references several times before and anyone taking scriptural study seriously should know them, or at least be able to work them out. The first letter refers to the name of the book from the Tipitaka. 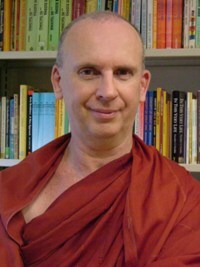 Thus A = Anguttara Nikaya, D = Digha Nikaya, Ja. = Jataka, Dhp. = It = Itivuttaka, and so on. The Roman numeral is the volume number of the book from the Pali Text Society’s editions of the Tipitaka. In the case of books in verse like the Sutta Nipata (Sn.) or the Dhammapada (Dhp.) there is of course no volume number and only the verse number is given. In other cases, the numbers refer to the page numbers of the PTS’s editions of the Tipitaka. Thus for example M.II,38 refers to the PTS’s edition of the Majjhima Nikaya, volume three, page thirty eight. 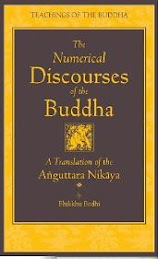 If you look at Bhikkhu Bodhi’s translation of the Majjhima Nikaya (The Middle Length Discourses of the Buddha), on the top of the pages, and also within the text itself in square brackets you will see the same references. It might be a bit complicated at first but I hope this explains it. 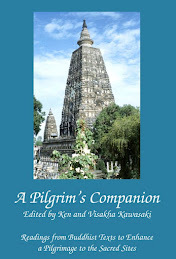 I have often thought of the Buddha as leading a kind of Prostestant Reformation of Hinduism. Except that he had a lot more to offer than Martin Luther. does the Sinhala edition of the Tipitaka have the same reference numbers as the Burmese or PTS version? if not, how come there's no standard of reference in the Tipitaka (as compared to the Christian's Bible)? The Burmese, Thai, Sri Lankan, etc. Tipitakas have no reference system and the only way to find a sutta is to laboriously count the sutta number and then read through the whole sutta and try to find the passage quoted. You will notice in the Visuddhimagga that Buddhaghosa quotes the first several lines of the sutta he is referring to in the hope that the reader know it and can find it. Actually, it says a great deal about traditional Buddhists that through 25000 years no one ever thought to developed a reference system equivalent to, say, the book, chapter and verse number system in the Bible. To this day there is still no complete, easy-to-read and easily available translation of the Tipitaka in any of the languages spoken in traditional countries. And don’t hold your breath that there is going to be one any time soon. The first vernacular that the Tipitaka was translated into was English. Again, this says quite a lot about traditional Buddhism. in the meantime, PTS reference system will do in finding suttas and verses. That's for restating it, the oftener the better! It’s a ‘cherished delusion’ amongst Hindus that the Buddha ‘reformed’ or ‘reiterated’ Hinduism, whereas in fact the two faiths have nothing of importance in common. I can't believe that Hindus really believe it -- they seem to be threatened by the true "atheism" of Buddhism, but want to neutralize the Buddha's teaching by saying avatar of Visnu and suchlike. In interfaith groups we have known, everybody but us kept referring to "God" and pretending that they all meant the same thing -- Hindus included. A man once went to a tailor, gave his some cloth and asked him to make him a shirt. The tailor agreed, the man asked, ‘How long will it take’ and the tailor replied, ‘A week, God willing’. The man came back in a week asked for his shirt but the tailor said ‘It’s not ready yet’. ‘Then when will it be?’ the man asked, and the tailor replied ‘Another four days, God willing’. The man returned in for days but the tailor told him that his shirt was still not ready. ‘Hoe much longer will it take?’ asked the now frustrated man. ‘Another three days, God willing’. ‘Look!’ said the man ‘How long will it take if you just keep God out of it?’ That’s my attitude to the spiritual life – just keep God out of it. I most definitely agree that Buddha's aim was to reform Hinduism and broaden its base. I don't think this is a cherished delusion at all. I think it's more of a delusion to think it's a delusion. Remember, Buddha was a Hindu himself. There was almost nothing that Buddha denounced in Hinduism. What Buddha was against was the ABUSE of the practices, not the practices themselves. There are no Buddhist texts I can think of where Buddha said "caste is bad and should be banned" or "Vedas are bad". Buddha respected the Vedas, but he didn't want brahmins just memorizing and chanting them. He wanted them to practice compassion along with their knowledge. He knew that the Vedas are a "waterless desert", as he put it, if the brahmins only memorized and chanted them without any sense of compassion. That brings us to the discussion of caste. It's a common mis-conception among Buddhists and many others, that caste was always about privilege at birth. It was never originally meant to be that way at all. Caste was all about people's abilities - spiritual and work wise. Some people are more spiritually evolved than others. Some are warriors, others administrators, others doctors, and others priests. Nobody is cut out for everything. And if one looks in Buddhism, there are also several planes of existence according to people's abilities. A lot of similarities are there. So just like the Vedas, the Buddha never said that caste should be abandoned. Certainly, his biggest criticisms were (rightly so) against the brahmin priests because they were the most corrupt of all the castes. There is only one area of Hinduism I can think of that Buddha flatly denied - the notion of a permanent self. A permanent self is the main concept of the Vedanta school of Hinduism. But even there - the idea of a permanent self, according to Vedanta, cannot be expressed in words or human intellect. So if there is a self, it's not one that we can even speak of. And furthermore, the Buddha makes common reference to "union with Brahma" several times in the Pali texts. Most likely, he was not referring to the god Brahma, but he was referring to BrahmaN, as union with Brahman is the main principle of Vedanta. But at the very least, even if he was talking about Brahma the God - that's GOD! Brahma is a major Indian God, folks - this fact cannot be denied by Buddhists who want to make a bigger gap from Hinduism than what actually is. Veda doesnt say a brahmin can only be born from Brahmin parents. Why are you giving wrong information. Veda clearly says that attaining knowledge is the only way to become a brahmin.